Prince Pasta 100th Anniversary Celebration & Free Pasta Wednesdays! Update: I checked out this event on 9/4, and it was a pasta sample of Prince, but if you need something to fill you over for a little bit, check it out. It was quite tasty, but definitely not a lunch or dinner option! 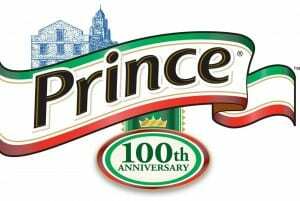 Prince is celebrating their 100th Anniversary and was founded in the North End of Boston! There will be a variety of activities to celebrate starting today with the declaration from Mayor Menino that Wednesdays will always be Prince Spaghetti Day in Boston. Also, make sure to stop by North End Park (on the corner of Hanover and Surface Streets) from 11am-7pm today to get your complimentary Prince pasta fix. For more information about Prince’s 100th Anniversary Celebration or to locate a free Prince food truck, head here. Um, yum! Hat Tip, Boston Food Truck Blog! Awesome! I’m heading over there later this afternoon, I’m hoping it won’t be too busy!